So, besides those, there would be other things I'd want to do with the remainder. 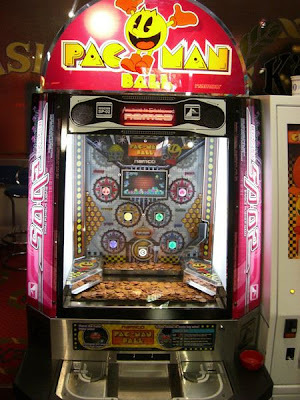 A donation to my old brass bands, for starters, the holiday to Australia we've always wanted perhaps, maybe take the kids to Disney World... but I'd like to keep a few thousand pounds for the "game room" in our new house. As well as being tastefully decorated with a fine choice in retro posters / artwork, there would be some classic arcade games in there, maybe the games would be cycled after a while, but the list of games I'd initially want in there are listed below. Now, it is important to understand the reasoning behind these choices. For example, despite one of my favourite arcade games being Gauntlet, I'm not sure about owning it outright now that I've seen that there is no "end" to it, just a sequence of repeating levels. However, if I had 3 friends round for a retro session, it would be pretty cool... but would it be as cool as the big 4 player Simpsons game? Possibly not. So, criteria 1, then, they need to be worthwhile owning for real, and not a game effectively killed by emulation. Criteria 2 is quality. Obvious, really. Prop cycle may be a unique game, but was it any good? Not to me. I think, to be honest, that's all I need. However, I feel I should point out that the choices below will just be a list of ten games of choice (and ten because I need to set a limit but I don't know how big my game room will be), and not necessarily the greatest games of all time. 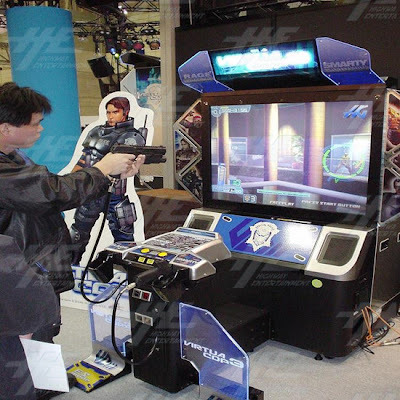 You might have thought there's bound to be a significant presence of gun games in my list. Firstly because I love them, secondly there's a lot of high-quality games in this genre. Of them all, Virtua Cop 3 was my favourite. Unfortunately, it's not particularly retro. However, it's the best gun game I've EVER played. So in it goes. As difficult as it might be, I'm going to try and avoid the genre for the rest simply for variation. 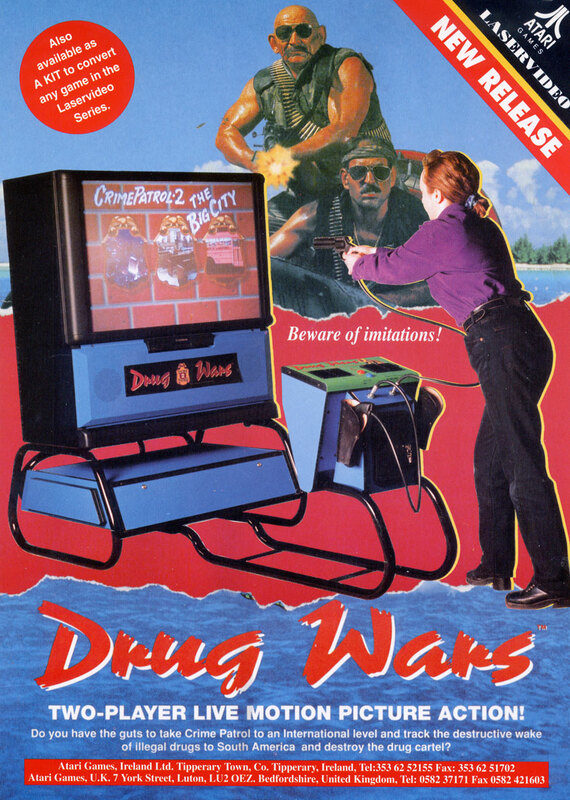 A gem of a game I really need to cover in depth at some point, but this would be uber-cool to have in a game room. Of course, the Atari T-Shirt offer screen would still be activated, and eventually I'd get the code and send it off to try and claim one... Only a couple of decades late. 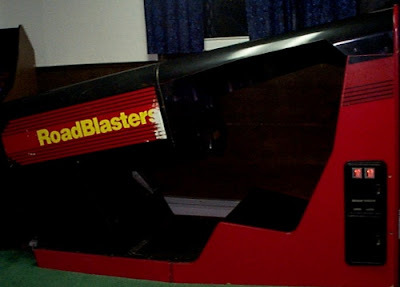 Roadblasters is explained pretty well by its name... drive on a road, blast everyone in your way. 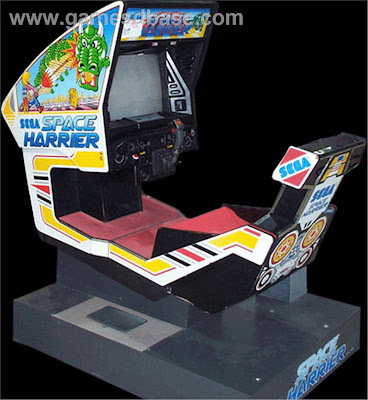 Although it is also available in a stand-up cab, I'd rather have the cockpit for the cool factor. 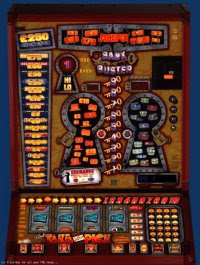 Thanks to the wonders of Fruit Machine Emulation, I managed to relive the glorious days of working at St Wilf's Club in Standish, where this fruit machine resided for a considerable amount of time. With a lot of depth to the machine, and lots of features, and GREAT sound, this absolutely would stand proudly and well-maintained in my game room. It would also double up as a saving-box for the next retro-project... or holiday. 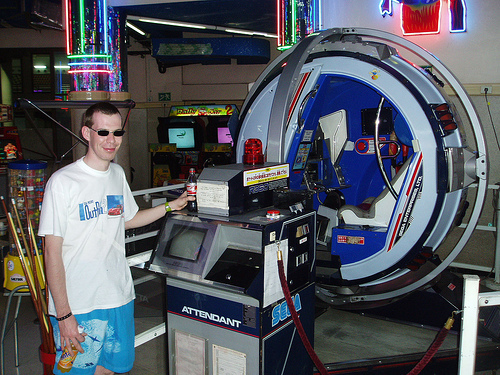 Obvious reasons why I'd prefer to play the arcade original rather than an emulated equivalent, right? No? It's the handlebars, you dummy. Without them it's just not the same. And as a game, apart from Paperboy 2, it's a concept unrepeated since. Why? Erm... copyright infringement, I should imagine. 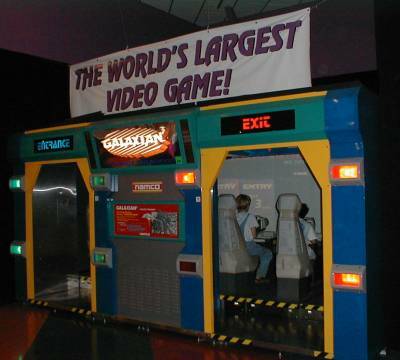 The Galaxian theatre by Namco has always excited me, from the first time I saw it in Blackpool, to seeing this excellent set of pictures of one being dismantled and moved. I'd be pushing the boat out on this one, but given the opportunity I'd get one of these in. With an awesome sound system, incredible laserdisc footage and a decent game to boot (6 player simultaneous, anyone? ), owning this would add up to some serious envy factor. Plus it would be like, totally awesome, dude. Tell you what, just read my review. Tremendously expensive at the time, and even needed its own attendant to oversee it, this was undoubtedly the best way to play this (admittedly basic) variation on After Burner. Another one crying out for review. It's too tough to make a choice. Mad Dog McRee? Who Shot Johnny Rock? Crime Patrol? Space Pirates? I want to play them all, and I understand they're pretty easily converted from one to another. So in it goes. That Drug Wars cabinet looks like it could rust away and break apart!